Building isn’t just a job. At Midwest Construction., it is our passion. With every project we undertake, we set the bar high and provide the best people in the industry, with a true love of what we do to make our Customers’ vision a reality. From inception to completion, we use the latest techniques and technologies to make sure that the project stays on point and on budget. 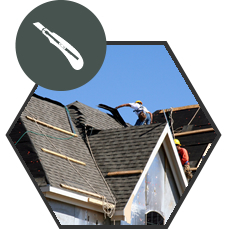 Even after a project's completion, our post-construction teams work to ensure that our Customers are satisfied. 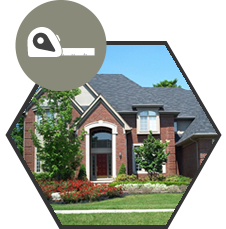 The building process at Midwest Constructionmakes it possible for our customers to stay focused on the fun and exciting prospect of building a new home while we deal with the more mundane aspects of costing, permitting and code review. Our process is simple. A client typically comes to us with an idea for a new home that may have come from our catalog, or may be an amalgamation of inspirations from many sources. It may even be just a narrative description of what is wanted in a new home. Our experienced design team takes over from there, and our long term expertise in construction logistics allows us to address these issues while the client continues to concentrate on the creative side. Let us help you design and update your home into a custom space that reflects your personality and lifestyle. From turning an office or den into a fully accessible first floor bedroom and bath for an elder family member, or creating more light with a new window, we will help you reconfigure your current floor plan to meet your family's needs. The heart of the any home is the kitchen. It’s where you start and end your day, and the room where the party always ends up. Doesn’t it make sense to make sure this multifunction room, where you spend so much time, is as efficient and attractive as it can be? 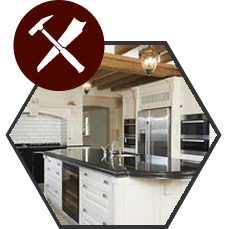 As a full-service contractor, Midwest Construction can provide you with all of the contracting services that your new kitchen remodeling project would require. Enjoy an evening with friends, or watch the sunrise with a cup of coffee on your beautiful new deck or porch. Looking to enjoy the beauty of nature, without the pesky mosquitoes nagging you? Midwest Construction will build a custom designed screened porch just for you! Midwest Construction designs and constructs beautiful new decks and porches that are just right for your lifestyle and budget. From handicapped ramps to gorgeous screened in porches, Midwest does it all. Trust the knowledgeable experts at Midwest Construction to design, plan, and build the porch or deck of your dreams. And don't forget... We do siding too.